The GPD Finland 2019 conference will be held in Tampere Exhibition and Sports Centre (Pirkkahalli). The venue enables us to stage the GPD Conference in one open 5,000 square meter space, which will be divided into seven seminar sections with their own presentation and audio units. The open nature of venue makes moving between sessions and presentations easy and efficient – the same is true for participant networking. The exhibition will be located in close connection to the conference session areas. In addition, all coffees and lunches will be served in the expo area. This combination of activities will provide exhibitors the best platform to showcase or launch products, services and knowhow to the attending glass fraternity. Direct company and product promotion to a targeted audience of high level decision-makers. 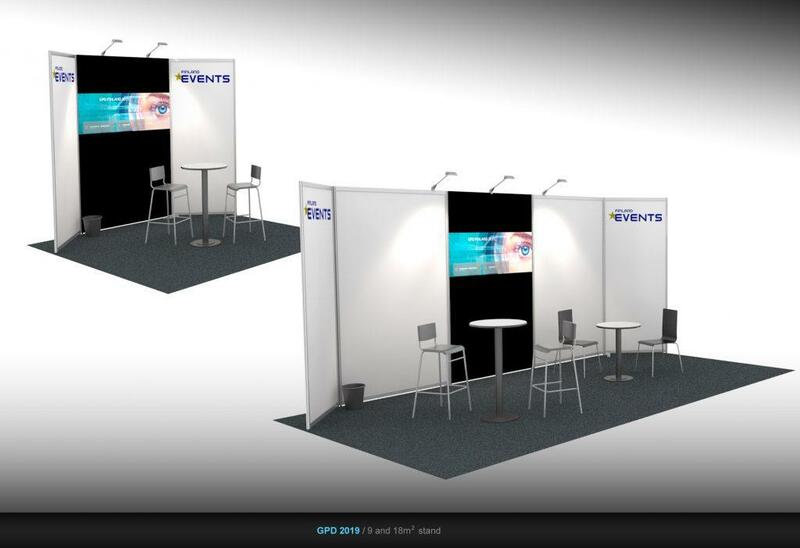 The Stand package includes the following items – a profile wall, electricity, grey carpet, company logo in the profile structure, electricity and power ( 1 kw ), basic furniture, 1 exhibitor’s pass, lunch and coffee during GPD, conference material and listing on online and offline GPD marketing materials. 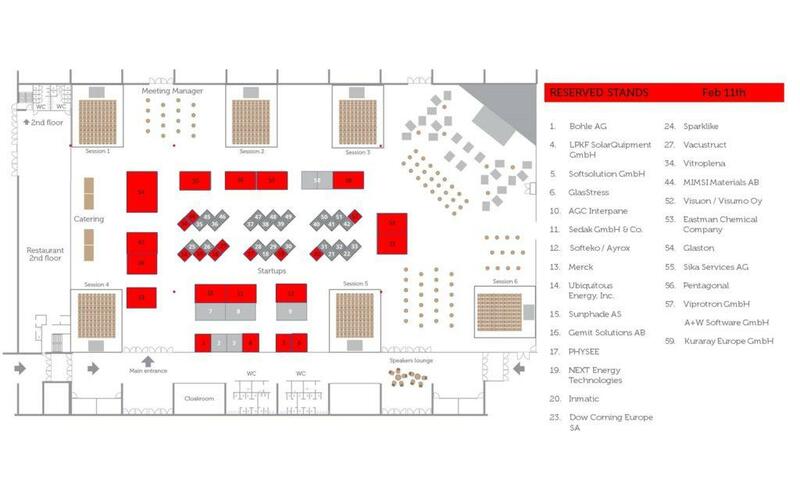 We have also booths reserved only for start-ups. They are 2x2m2 stands, with some furniture to use as a base of operations or a meeting point. On the map the booths can be found in the middle. A reservation fee of EUR 500 will be charged for any of the packages and is non-refundable in case of cancellation. The fee is included in the package fees and will be charged upon receipt of your reservation. The balance will be invoiced later.